Isn't it about time you got to know your hot tub better? Owning a spa means you'll need to know the words and terms that accompany it, whether you maintain the tub yourself or hire a professional. Consult this handy glossary as a quick reference tool. If a word or term is missing, contact us on social media and it will be added. A dry or liquid chemical that lowers pH when added to water. A pneumatic-mechanical control devce that is used to safely operate spa and hot tub equipment. To operate, a button that is located in or near the water is depressed, sending air pressure along a hose to an on/off switch. The characteristic of water tht registers a pH above neutral. An additive for sand filters that helps prevent sand from combining and hardening; thus, not filtering impurities from water. Any person using a spa or hot tub. Hopefully, not to take an actual bath with soap and shampoo, but for relaxation or as hydrotherapy. The method by which hot tub water is warmed electrically. Some custom hot tubs have gas heaters. 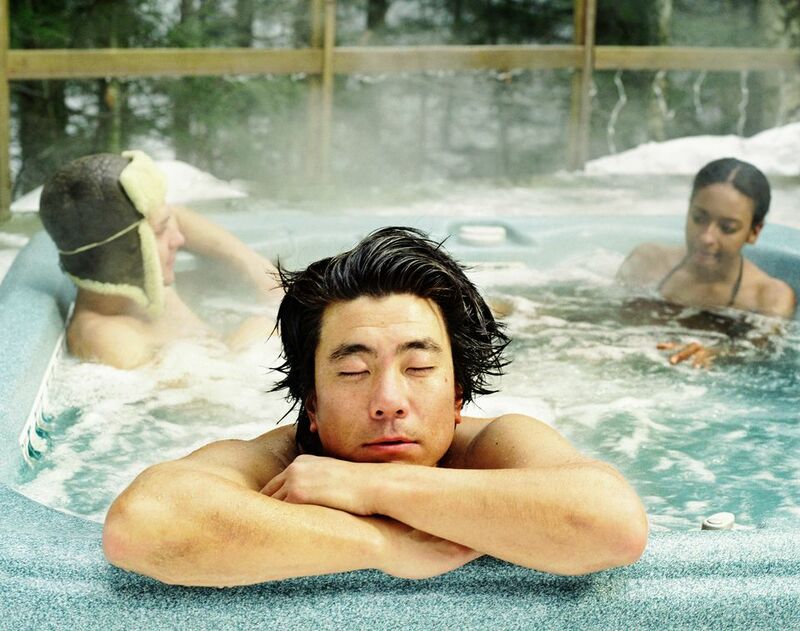 Pertaining to hot tubs and spas: the external use of warm or hot water to treat diseases and ailment. Hydrotherapy is used for conditions ranging from stress to sore or strained muscles and arthritis. Jets that move the water, along with the warmth, help in treatment. A dry or liquid chemical that has been formulated for water testing. An agent or substance that reacts to another known agent, producing a predictable color. A filter that uses sand to collect debris from water running through it. A chemical compound that oxidizes organic material and bacteria to provide a clean, bacteria-free water environment. The container of a hot tub or spa that holds water and bathers or soakers. Application of extremely high levels of chlorine to completely oxidize any organic material in a hot tub or spa and leave a substantial chlorine residual. This procedure is performed to sanitize elements in water that might resist normal chlorination. A part of the circulation system that removes debris from the surface of the spa watear by drawing surface water through it. A person who is soaking in the spa or hot tub, presumably to reap the benefits of the hot water and circulation. See bather. A material used in building hot tubs and spas that is resistant to staining from minerals. Most grades resist rusting. A plastic mesh container that strains debris from water flowing through it inside the strainer pot. Part of the heater control circuit. Adjustable, this device senses temperature and can be set to break the circuit when a certain temperature is reached. It then closes the circuit when the temperature falls below that level. Aka timer: An electromechanical device that automatically turns something on or off at preset intervals. A plumbing device that controls the flow of water. A barrier in a skimmer over which water flows. The floating type raises and lowers its level to match the water level in the spa, while another type floats up and down inside the skimmer basket. Now that you know all the right words in the world of spas, you'll be able to impress friends next time you're soaking in the hot tub together. Even better: you'll understand what the terms are while reading up on your spa.